One-Off Productions seek to bring together performers who might not regularly collaborate for a fun, spontaneous, one of a kind night of entertainment. 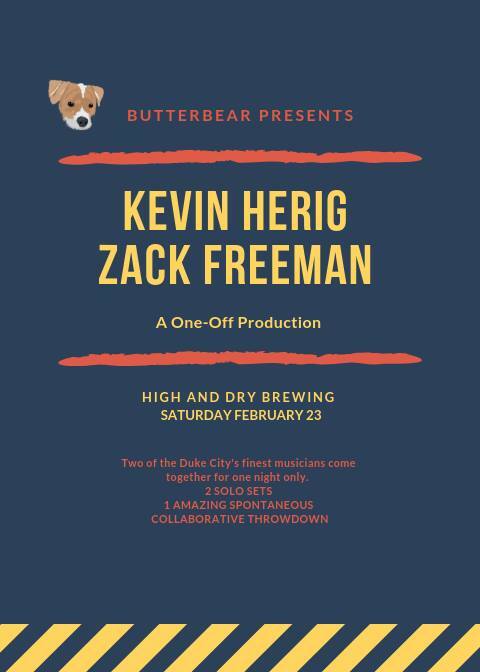 Kevin Herig is one of the Duke City's most celebrated singer/songwriters, and Zack Freeman is an ultra talented vocalist, beatboxer, and looping artist. Each will play separately, and the night will culminate with a spontaneous collaborative performance. Think fresh original songs, smooth vocals, and skillful guitar stylings, all with an improvised underpinning of dope beats and masterfully looped vocal harmony.